“Rear Window,” my contender for best Alfred Hitchcock film of all time, starred James Stewart as a photographer confined to a wheelchair while recovering from a broken leg; in this version, Reeve put his own paralysis onscreen as Jason Kemp, an architect who was injured in a car crash. 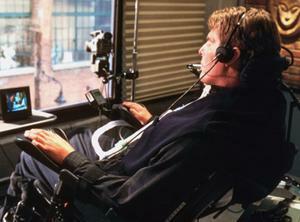 The movie spends a significant amount of time on Kemp’s difficult physical rehabilitation and his hope to one day walk again; Reeve clearly was inspired to air some of the issues he had been exploring in his own life, in which he had become an advocate for victims of spinal cord injuries. Confined to his own Soho, NY, apartment, Kemp attempts to get back to business as usual, but during the months he spent in recovery his pet project was handed over to a young architect played by Hannah. Together, they continue to work on Kemp’s building, but it is during the long stretches of time he spends alone and looking out his window that Kemp realizes the sculptor across the alley may have killed his own wife. With help from Hannah, as well as his nurse, a philosophically inclined Jamaiacan man, and a crusty cop played by Robert Forster, Kemp uses his wits and his computer to unravel the mystery. 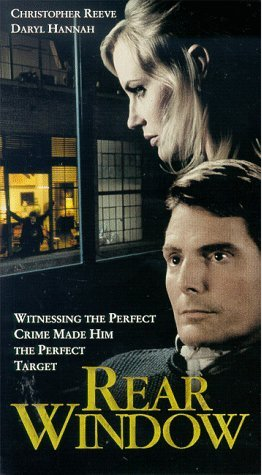 And while he and Hannah begin to forge a relationship by the end of the film, the story’s conclusion disappoints, as the body is never found—and without that, the police can’t prove that a murder occurred. 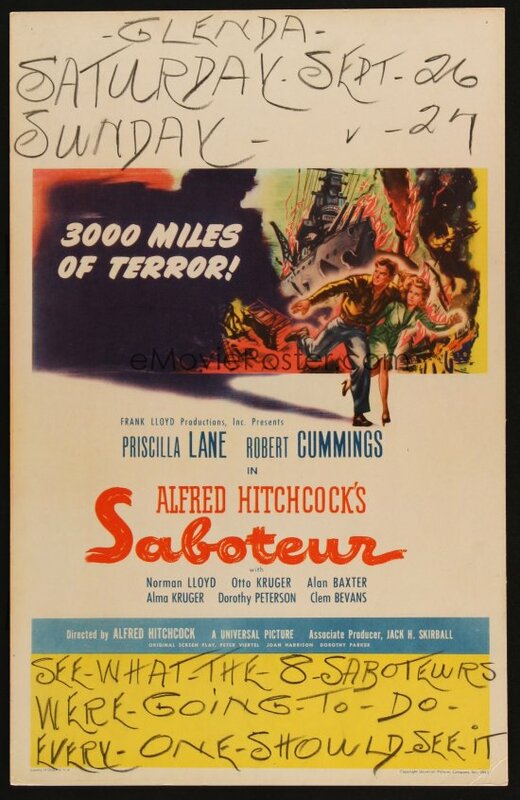 The film is very much a product of its decade: Email is considered fancy and new, and the murderer is a sculptor, reflecting Soho’s booming gallery scene. Also, Kemp’s voice-activated computer is so good it’s comparable to the computers on “Star Trek.” Still, “Rear Window” relies on suspicion of wrongdoing that builds to suspense, and here the suspense comes from Kemp’s seeming helplessness when he’s confronted by the killer. Even in a wheelchair, Reeve remains boyishly charming, and it’s particularly poignant to watch “Rear Window” and realize that the cure he hoped for would not come in time for him. Christopher Reeve died on October 10, 2004. 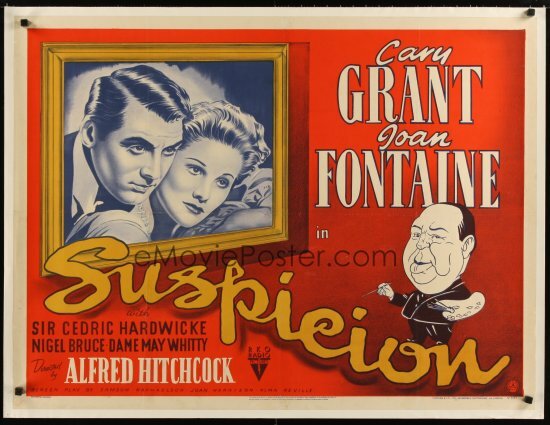 You can see the entire collection, which includes many non-Hitchcock movies posters, at http://www.emovieposter.com/agallery/15.html. The auction ends on Sunday, June 9, so go and see if there’s anything you want to bid on!